Spirit guide readings from gifted psychic mediums are available, 24 hours a day, 7 days a week. 1800 spirit guide number allows you to call anytime in the USA and Canada. If you would like, you can check Spirit Guide Mediums Available Now to find out who is available for a readings. Would you like to review the profile for all the mediums, psychics, channelers, tarot experts and other readers to find someone you feel most suits your needs. Visit the List All Psychics Page. 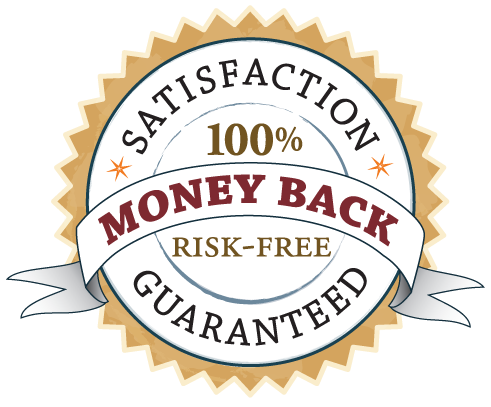 Just to remind you: All spirit mediums readers through our phone number have been through a rigorous screening process ... all readings come with a satisfaction guarantee ... all transactions are handled in a safe, professional manner. Free help finding the right psychic medium and/or spirit medium for you when you call! First time caller? Want to try a Spirit Guide reading? Special Offer ... Just for you! A 10 Minute Reading For Only $10. Call Now! Do you have a personal guardian spirit? Could it be that departed spirits of friends, family (even pets) are round you this moment? Want to know about the spirit world? Looking for personal guidance from helpful spirits about love? Money? Career? Your mission in life? Are you interested in reaching someone in the afterlife? Maybe now is the time for you to discover the value a personal reading from an experienced psychic medium. Within the psychic community a consistent theme is spirit guides. A spirit guide acts as both a conduit to and a host for the afterlife or spirit world. Spirit guides can carry messages, offer advice and provide protection and guidance. At the turn of the century, psychics working with spirit guides were called mediums. At that time, the "fad" was about contacting departed spirits, souls who had "crossed over". However, to the psychic mediums of the time, this was only a small part of what an authentic medium could provide. More important was the help, support and guidance that spirit guides could provide the living. Controversy about psychic mediums was as intense then as it is today. Great efforts were made to ban psychics and make psychic readings illegal. Some of those efforts are still in place today. Banning and making illegal a unique spiritual pursuit proved more difficult in a free society than the "disbelievers" thought. And, so, today we are seeing a re-emergence of the mystical pursuit of psychics. A more modern term for a psychic medium is "channeler" ... as in a person you can channel a spirit guide. Channeling is generally viewed more specifically as a psychic who's voice and persona actually change as the spirit guide is channelled. It is a unique psychic style, but really no more "powerful" than automatic writing or crystal gazing. The term angel and spirit guide is sometimes used interchangeably, however, based on strict dictionary definitions, there is a difference between angels and spirits. They are common in that both are considered largely part of an unseen spiritual dimension. The difference lie in the fact angels are always, by definition, serving the good. Spirits can be good, bad or just mischievous. Who knows, maybe any spirit performing the will of God or goodness on a consistent basis is an angel. As far back as recorded history goes, there has always been a connection between spirit guides, angels and those who seem to possess a gift to hear, see and speak for them. Of interest is that, outside western culture, spirit guides could also be animals. Lakes, mountains and especially trees could possess (or be) spirits, become spirit guides. It is only recently these types of spirit guides have begun to creep into the more European type psychic awareness. Perhaps this has more to do to centuries of western scientific education and thought. Maybe "seeing is believing", however much proof has been offered that the reverse is equally true ... "believing is seeing". People just cannot see what they refuse to believe in. Perhaps that is why some psychics and prophets are referred to as "Seers". Spiritualist churches have for decades been dedicated to messages, protection and guidance being delivered by spiritual beings. To such a group, a spirit guide reading must appear as a more natural pursuit that most others can accept. Psychic mediums have, through out history, reported that everyone has guiding spirits or spirit guides and guardian angels. A spirit guide reading can be a very informative ... or profound ... or just plain fun. It depends on you, what you are seeking, what you want. A spirit guide reading can be about contacting departed spirits (pets or people). It can be about meeting your personal spirit guides. It can be about getting messages and guidance from the spirit world. It can be about curiosity. What your spirit guide reading will reveal will be totally unique to you. Are you ready to stretch your thinking beyond the limits of this world? Give a call! Can All Psychics Contact Spirits? This page copyright 1-800-psychics.com . We respect your privacy.